Great to congratulate new mums or a humorous one for Mother's Day. A funny 'Deja Poo' definition card to highlight the endless nappy changes! The card is mint green with white and black contrasting text. 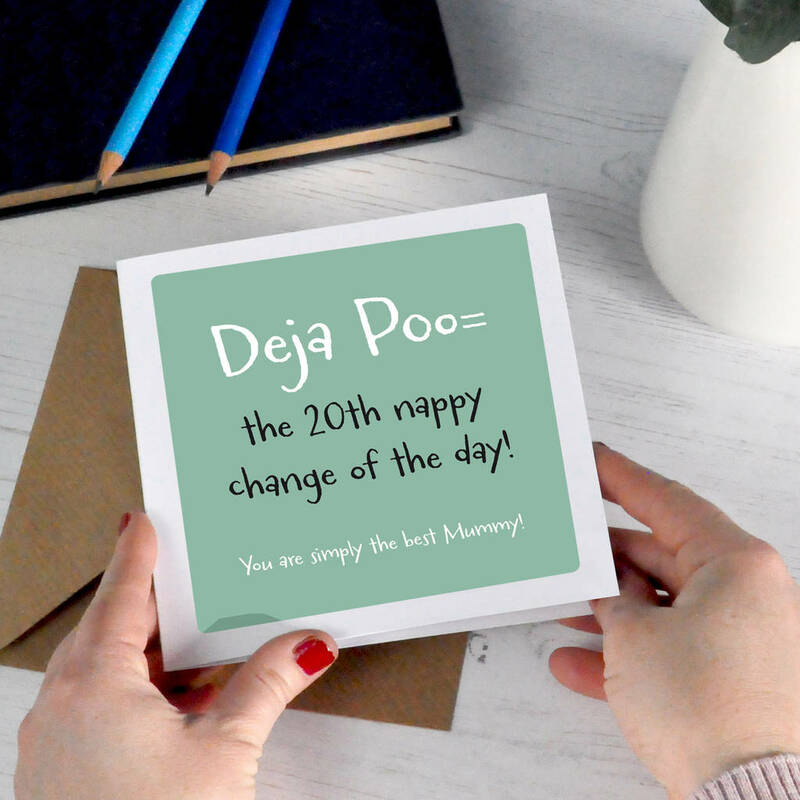 The text reads Deja Poo = The 20th nappy change of the day. Available personalised with any message at the bottom, add this where indicated.